. The Fire Rooster . After last days happenings, may it be in Aleppo, Ankara, the U.S. or Berlin, it seems a bit odd but yet so right to send out the yearly season greetings. And if one goes with the Chinese, 2017 will be a fiery challenging year. For the times to come & as many changes occur all over the world, may his words be a guide, a shelter, be hope & give strength. 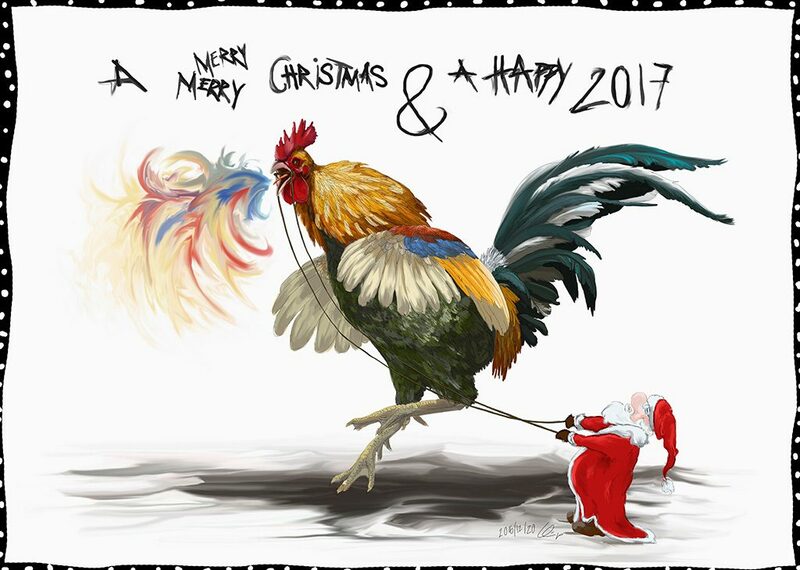 I wish all a merry CHRISTMAS & a Safe Loving Happy 2017 . – V.K.